Crackdown 3 sollte bereits vor einigen Monaten released werden, wurde aber zurückgestellt und wird erst am 15.Februar 2019 erscheinen. Nun kennen wir zumindest schon einmal die komplette Liste an Xbox Erfolgen für das Game. Crackdown 3 könnt ihr entweder als Einzelspiel erweben oder im Rahmen des Xbox Game Pass (im Angebot für 1€) spielen. Sleeper Cells Activated 10 Advance any Skill to Level 3. Feeling O.P. Yet? 20 Advance any Skill to Level 4. Force To Be Reckoned With 20 Advance any Skill to Level 5. All The Kills, All The Skills 30 Advance all Skills to Level 5. Secondhand Shrapnel 10 Use a Deadeye head shot on a Logistics robot to kill another enemy with the resulting explosion. Watching The World Burn 20 Terminate Katala Vargas, head of TerraNova’s Industry division. Cut Off At The Source 10 Terminate Reza Khan, TerraNova’s Manufacturing boss. Toxic Wasteland 20 Terminate Djimon Keita, TerraNova’s Chemical boss. Zen And The Art Of Payback 20 Terminate Kuli Ngata, head of TerraNova’s Security division. Specialist Agent 20 Advance any Skill to Maximum Level. Overkill 101 20 Terminate Liv Sorensen, TerraNova’s Enforcer boss. Systematic Deconstruction 20 Terminate Alois Quist, head of TerraNova’s Logistics division. Permanent Pink Slip 10 Terminate Wilhelm Berg, TerraNova’s Manpower boss. Humanity FTW 10 Terminate ROXY, TerraNova’s Monorail boss. Hostile Takeover 25 Terminate Elizabeth Niemand in a game world set at any difficulty level. Agents Fight Back 5 Clear out your first enemy asset. Justice Has Been Served 40 Neutralize every enemy asset in New Providence in a single world. Urban Mountaineer 10 Reach the top of Elizabeth Niemand’s tower. Lockdown Legend 10 Survive Elizabeth Niemand’s final Lockdown. That The Best You Got? 10 Defeat an enemy retaliation. Power To The People 10 Mobilize a Civilian Militia. Rooftop Master 20 Successfully complete all Rooftop Races with a single Agent. Road Master 20 Successfully complete all Road Races with a single Agent. The Ringer 20 Drive through every Stunt Ring in New Providence with a single Agent. Killer Cure For A Pounding Headache 10 Demolish 5 enemies with a single Ground Pound. Bull In A China Shop 10 Devastate 5 enemies with a single Flying Fist. Demolition Derby 5 Blow up 5 cars within 5 seconds. Fists Of BOOM 10 Use Melee to kill 5 enemies within 5 seconds. Shot-Put Show-Off 5 Hurl an object other than a grenade at least 300 feet. Orb Curious 10 Collect 100 Orbs of any type with a single Agent. Orb Obsessed 20 Collect 500 Orbs of any type with a single Agent. Orb Hunter 30 Collect every Agility Orb in New Providence with a single Agent. Orb Master 30 Collect every Hidden Orb in New Providence with a single Agent. Riding In Style 10 Obtain the Agency Vehicle. Foot In The Door 5 Unlock your first Supply Point. High Roller 10 Execute a 4 second jump in a vehicle. Flirting With Disaster 5 Drive faster than 100mph for 5 seconds without hitting a wall or another car. Roads? What Roads? 10 Drive the Agency Vehicle Spider Form on a wall above 3000 feet. Drifting The Night Away 10 Sideswipe 10 enemy vehicles using the Agency Vehicle Lightning Form with a single Agent. Dance, Fools! 10 Electrocute 3 enemies at once using the Arc Rifle. Fun With Gravity 10 Catch 3 enemies with the Oblivion or Singularity grenade. Just Making Sure 10 Unload an entire magazine of Decimator missiles on a single enemy. Circle Of Life 20 Collect all Agent DNA Orbs. Ignition Point Precision 5 Blow up a car by shooting or hitting its gas cap. Come On, Walk It Off! 5 Incapacitate an enemy using Deadeye. Just Getting Started 5 Advance any Skill to Level 2. Corporate Raider 25 Terminate Elizabeth Niemand in a game world always set at Legendary difficulty. Proof Of Life 5 Collect your first Agent DNA Orb. Statues Of Liberty 20 Capture all Propaganda Towers in a single world. Decommissioner 10 Complete all Manufacturing Objectives in a single world. Eco Warrior 20 Complete all Chemical Objectives in a single world. Freerunner 20 Complete all Rooftop Races at Silver Level or higher with a single Agent. Gadget Freak 10 Unlock 10 gadgets with a single Agent. Gold Medalist 10 Earn your first Gold Road or Rooftop Race medal. Gun Collector 10 Unlock 10 weapons with a single Agent. Gun Enthusiast 10 Unlock 20 weapons with a single Agent. Jailbreaker 5 Complete a Prisoner Hardpoint. Liberator 20 Complete all Prisoner Hardpoints in a single world. Party Foul 5 Destroy a Monkey Moonshine Kiosk. Peacemaker 20 Complete all Enforcer Objectives in a single world. Party Police 20 Destroy all Monkey Moonshine Kiosks in a single world. Monomania 20 Complete all Monorail Objectives in a single world. Road Rockstar 25 Complete all Road Races at Gold Level with a single Agent. Road Racer 5 Complete your first Road Race at Bronze or higher. Rooftop Rockstar 25 Complete all Rooftop Races at Gold Level with a single Agent. Rooftop Racer 5 Complete your first Rooftop Race at Bronze or higher. Secret Agent 5 Hack a Surveillance Cache. Silver Medalist 10 Earn your first Silver Road or Rooftop Race medal. Super Sleuth 20 Hack all Surveillance Caches in a single world. Wheelman 20 Complete all Road Races at Silver Level or higher with a single Agent. 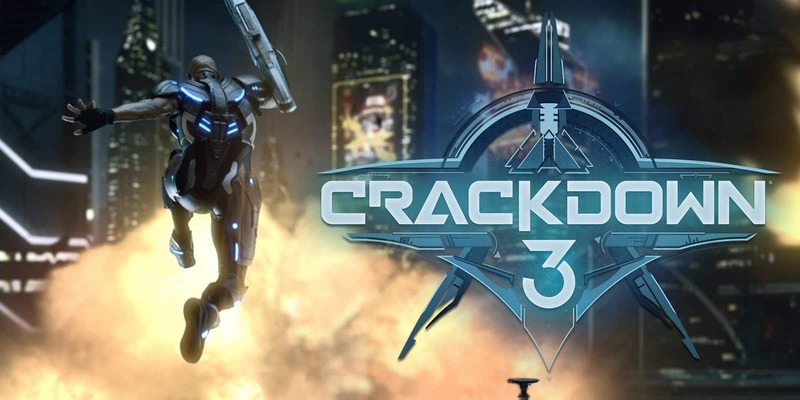 Freut ihr euch auf Crackdown 3? Sollen wir das Spiel für euch testen? Sagt es uns in den Kommentaren. Ich hab mir Crackdown 3 für Win10 schon vor 3½Monaten als „Vorbestellung“ gekauft! Kann’s kaum erwarten bis es am 15.Feb.2019 endlich Veröffentlicht wird! Hoffe das es auch Gut ist und meinen Erwartungen entspricht!